It is important to start your conversation with your MP by acknowledging the work that is already being done to tackle nature conservation and its role in addressing climate change. In 2011, the UK government made commitments in the Natural Environment White Paper, to leave our environment in a better state for future generations. With the launch of the 25-year environment plan, the government said it would establish a new Green Business Council, something NGOs and business alike have been calling for. It offers the opportunity for the government to work with business to discover, define and address natural capital risks down their supply chains. Nature conservation in the UK focuses on protected areas designated by country-level nature conservation bodies. Each country has produced its own biodiversity strategy. At the UK level the Joint Nature Conservation Committee (JNCC) and the Department for Food, Environment and Rural Affairs (DEFRA) have published the UK Post-2010 Biodiversity Framework, indicating how the UK aims to contribute to International Biodiversity targets, and to the EU Biodiversity Strategy. Currently, the EU Birds and Habitats Directives provide extra protection to UK wildlife. These allow the designation of new types of protected area, and require public bodies to promote the ‘diversity, richness and extent’ of nature. It is not clear whether these directives will be integrated into post-Brexit law. 70% of UK land is used for agriculture. Efforts to align agriculture with nature conservation center on the EU Common Agricultural Policy (CAP). The CAP was reformed in 2013 to promote farmland biodiversity and environmental stewardship. Some provisions in the CAP achieve this to some extent, although its overall success in protecting nature has been questioned. Replacing the CAP following Brexit presents both risks and opportunities for nature. 8 million tonnes of plastic are dumped into the ocean each year. Within the 25 year Environment Plan, the Government has committed to ‘eliminating all avoidable plastic waste by 2042. They also announced that a £7bn research and development pot will be used to “inject new funding into plastics innovation”. The UK Marine Strategy is of particular importance to deliver conservation objectives. Within the Marine Strategy are designated Marine Protected Areas (MPAs) which ‘are set up primarily for the conservation of our marine biodiversity and to protect species and habitats of international or national importance’ (UK MPA Centre). Importantly, the threat from climate change depends on how degraded, or damaged, the natural environment is. Degradation may result from fragmentation, pollution, unsustainable harvesting, or interruption of processes (such as the flow of water through a landscape). Restoring degraded habitat makes it and the species it contains more resilient, meaning they are better able to bounce back from negative impacts of climate change, helping them adapt and survive in the long term. Restored, high quality habitat can also store more carbon, helping us mitigate our emissions and slow climate change. To respond to climate change species need to move. Closer and more connected green spaces make it easier for species to move through landscapes to find suitable conditions. This also improves the resilience of mobile species to extreme events by making a greater range of habitat (and more chances to avoid extreme conditions) available. While even small spaces contribute to connectivity, large spaces are particularly important, as these add habitat complexity. Complex habitat is more likely to contain types of vegetation that store more carbon, as well as being more likely to provide conditions needed by specialist species. Wildlife corridors are also just as important in the marine environment to allow for migration without human interference. A report from Bright Blue also recommends that we do more to join up coral reefs through connecting these areas, to increase resilience of the corals and the species that call the reefs their home. High biodiversity improves the resilience of habitats to climate change. Where there are more species, the consequences of any one species to moving, disappearing, or flowering earlier than usual are reduced, as others that interact with it have more choice of substitutes. Biodiversity also underpins the services provided by the natural environment that benefit people, such as water purification and improved well-being. 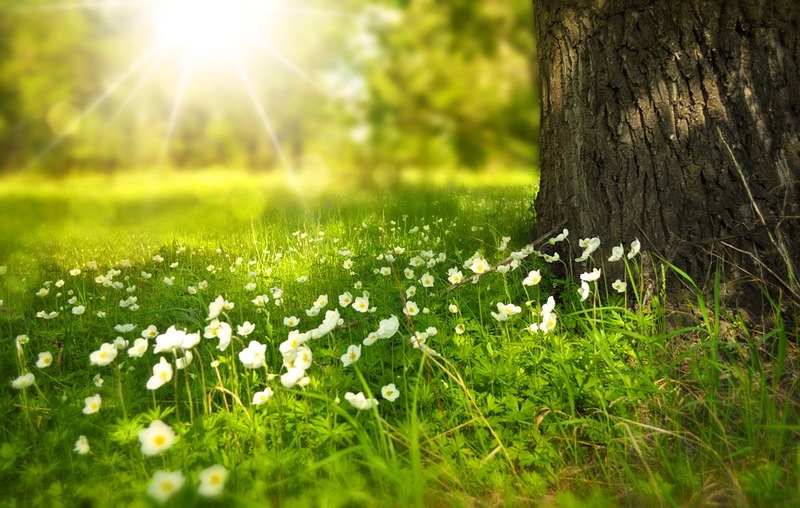 Trees and plants absorb carbon dioxide from the air. 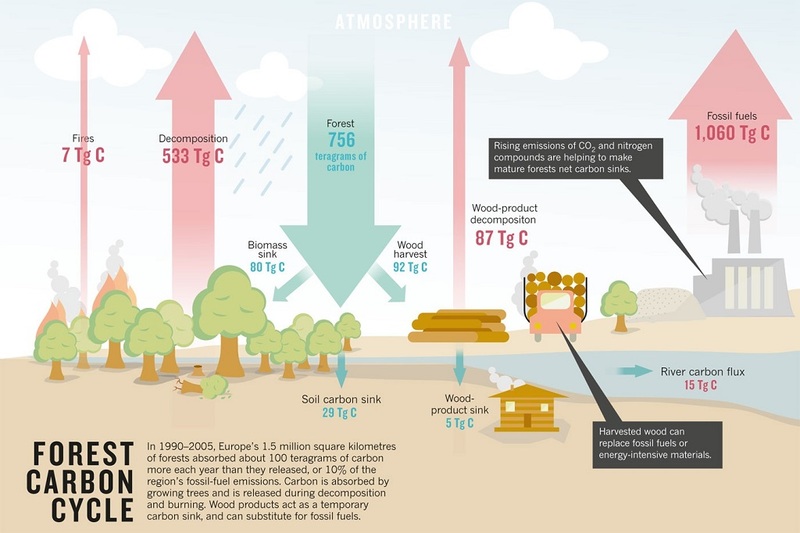 Forests therefore absorb large amounts of carbon dioxide and act as what are called ‘carbon sinks.’ The establishment and management of forests to increase the removal and storage of CO2 from the atmosphere are recognized as major opportunities reduce the rate of global warming.Wetlands and peatlands are also major carbon sinks. It has recently been reported that England is suffering from deforestation, given that more trees are being chopped down than planted. Only 1500 hectares of woodland were planted in 2017 in England, far below the 5,000 hectares a year needed to increase England's woodland cover to 12 per cent by 2060-an ambition set out by the Government. The ocean is also a significant carbon sink, but increased carbon dioxide in the atmosphere is causing harm to the ocean and it’s wildlife. See our resource on the impacts of climate change here. The Mersey Forest is a partnership across Merseyside and Cheshire, which has planted almost 10 million trees across Merseyside in the last 25 years. When trees are planted, the Mersey Forest ensures that they are creating green networks and corridors to allow wildlife to move safely and thrive. The secondary benefits of increased nature across Merseyside are numerous. For example, Mersey Forest started the Nature4Health Programme which runs ‘health walks’ in communities to name just on of their strategies. These have been significant in reducing mental health; it was found that average mental wellbeing had increased from 48.5 points on the mental wellbeing scale to 56.5, where the UK average is 51. Also, an evaluation of the project in July 2018 found that children and adults have ‘increased self-esteem and confidence; are more active and have developed better coping strategies showing an increased resilience reducing the need for medical intervention’. The Forest of Marston Vale is one of 12 community forests designated by the government in the early 1990s to restore land degraded by industrial activity. The reforestation of an 1141-hectare area in Marston Vale to help meet this target provides a clear example of how nature conservation and restoration can address climate change, while also benefiting the local community and economy. The forest removes nearly 5000 tonnes of carbon dioxide every year – the equivalent of the carbon footprint of about 500 people in the UK, or of driving your car for over 100 years. It also provides £13 million of natural ecosystem services to people each year (as valued by Natural Capital Solutions). This includes the removal of 65 million tonnes of health-damaging particulate matter, and a reduction in peak water flow that protects the local area from flooding. Every £1 invested in foresting this area is providing £11 worth of ecosystem services.